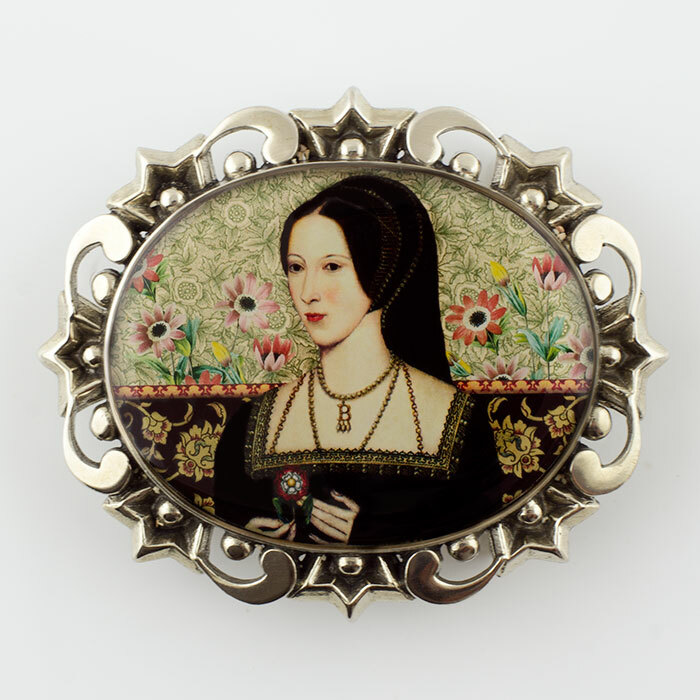 This bold, beautiful and striking belt buckle features an image from a collage by Tiffini Elektra X of Anne Boleyn holding The Tudor Rose with pieces of an antique anemone botanical and ornamental papers and bookplates. One of the symbolic meanings of the anemone flower is "forsaken". 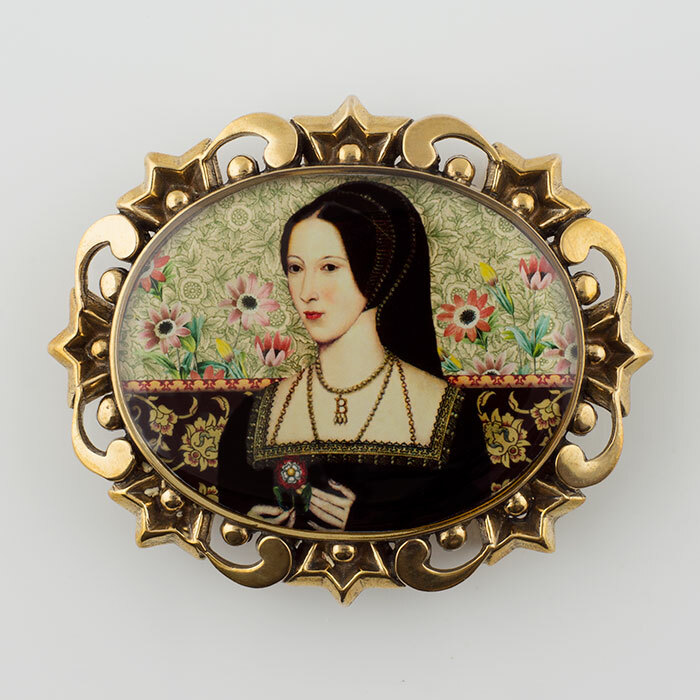 This ornate buckle was once an antique mourning brooch which Tiffini has transformed and cast into a modern heirloom and statement piece. 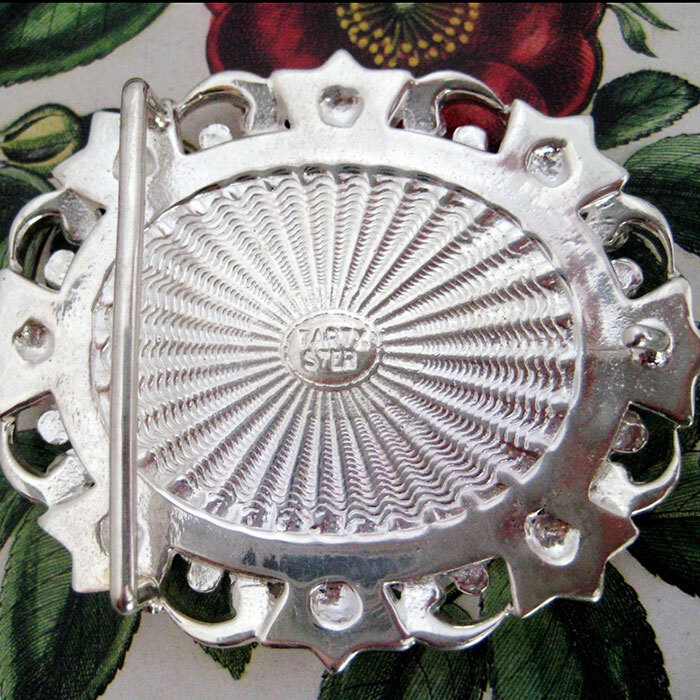 Dimensions: Belt Buckle is approx. 2 5/8" x 2 1/8". 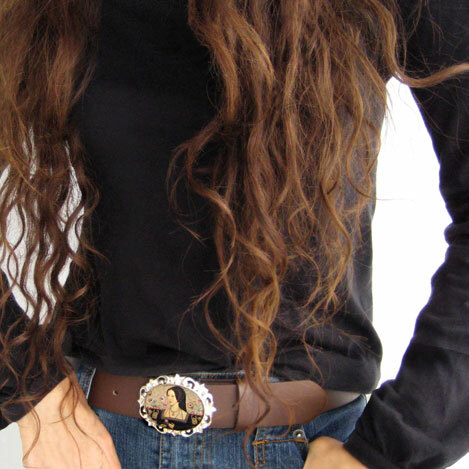 Buckle is made for a 1 3/4" belt or smaller. Each belt buckle is packaged in a lovely velvety gift box. Buckles are hand cast and available in either bronze or white bronze.